As much as you’d love to bring your dog to all the fun attractions in Anaheim, many may not welcome four-legged guests. 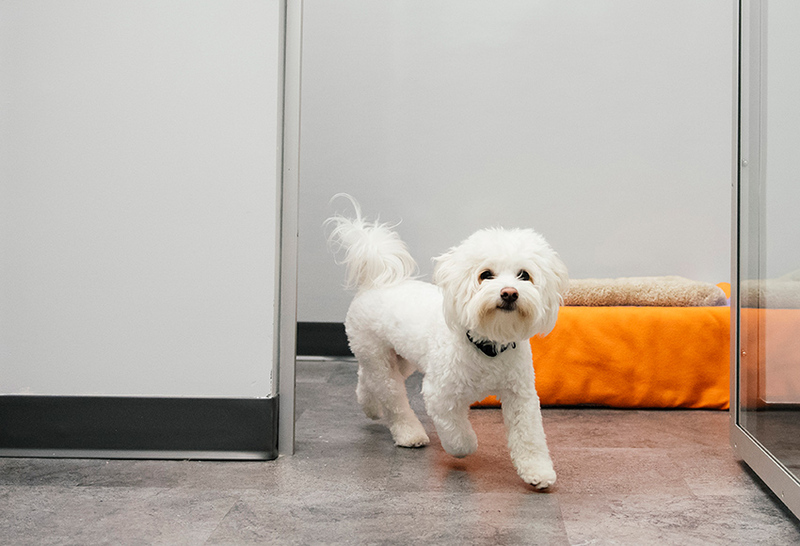 Dogtopia of Anaheim Hills offers a number of boarding options, whether you’re just looking to leave your dog overnight or for an extended period of time. Our highly-trained team will treat your pup like they’re our own, providing the play and attention they deserve. Dogtopia of Anaheim Hills is located close to many of the regions top attractions such as Disneyland, Knott’s Berry Farm, Angel Stadium, Honda Center and the Anaheim Convention Center. If you’re in town for an event at the ACC, we provide the ideal location to leave your pup. We’re also just a short drive from where the 55 and 91 Freeways intersect. You’ll have a happy and healthy hound on your hands when you pick them up after they board with us! 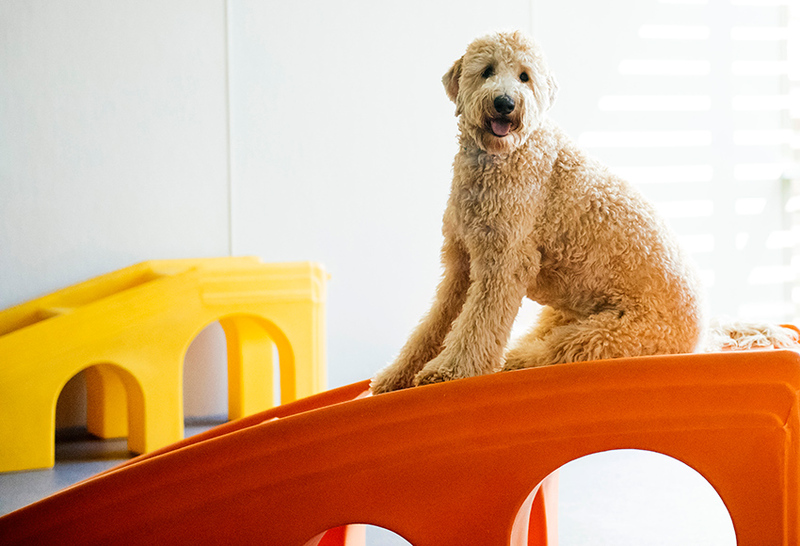 When you board your dog at Dogtopia of Anaheim Hills, they will have fun. Dogs boarded at our facility enjoy all day play indoors and outside too. We do not have kennel runs, instead boarding dogs enjoy the full run of our open playrooms and outdoor yards with pools just like our daycare dogs. Our guests enjoy five-star accommodations in comfortable suites or home-style crates during naps and overnight stays. Dogs are social animals, which is why we ask that you drop your dog off before 3 pm if they are going to spend the night. This gives them the chance to play with the other dogs and get used to our facility before bedtime. At Dogtopia of Anaheim Hills, your dog will enjoy approximately five hours of play in the morning followed by five more hours of play in the afternoon/evening. When your pup turns in for the evening, they will be tired but happy. And best of all, they will have made new furry BFFs! 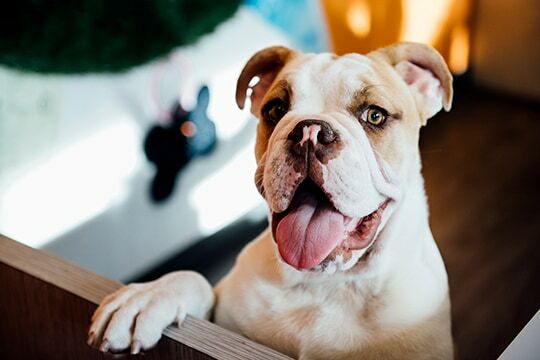 Dogtopia of Anaheim Hills’ dog care professionals will take every step to ensure your dog is happy, healthy and comfortable during their stay. We encourage our customers to bring any machine-washable bedding their dog is used to. Having something familiar will help with any homesickness or separation anxiety your furbaby may experience. Maintaining their regular diet is also important, which is why we recommend bringing your pup’s regular food. 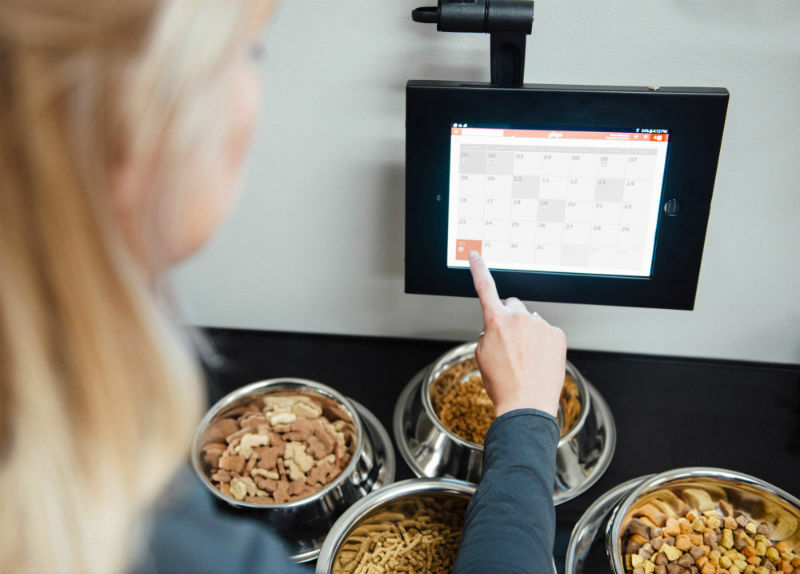 Your dog may not be the only one who has separation anxiety; that’s why we offer webcam access so you can check in on your dog during the day using a desktop or mobile device. Watch them make friends and have fun in one of our playrooms. We have webcams available in the playrooms and outdoor play yards 7 days a week and 365 days of the year. It is our mission to provide dogs with a safe and fun environment. We ask that you contact us prior to a first boarding stay to schedule a meet & greet . 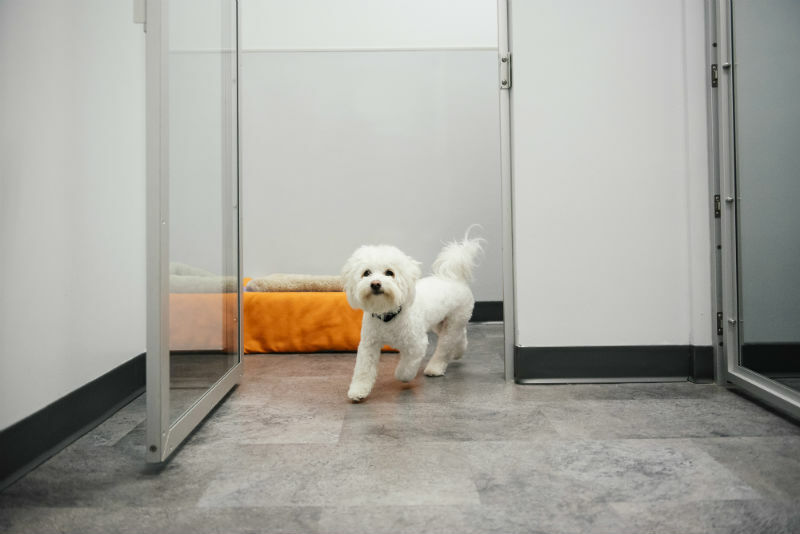 This way our team can meet your dog and get to know them before we decide if they are the right fit for our open play setting. 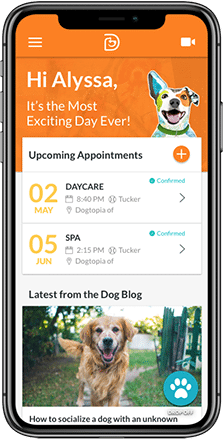 Get your dog in the habit of drop off, pick up, and open play in a room full of BFFFs (Best Furry Friends Forever) by scheduling your dog for THREE PLAYS before their first overnight boarding stay. 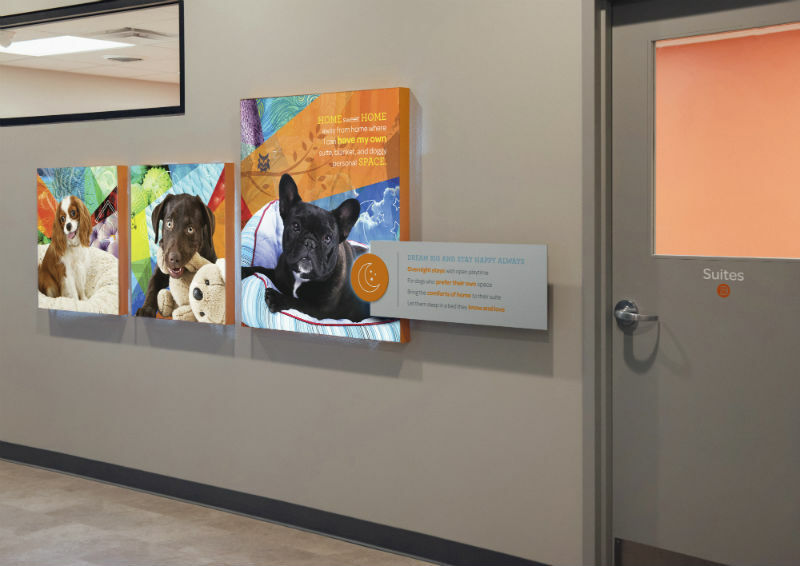 After THREE PLAYS in daycare, they’ll understand that Mom or Dad will pick them up after a fun day in a familiar place, filled with two-legged and four-legged friends. When their scheduled overnight stay starts, you can trust they will be comfortable and happy in a place they already know and love. Your dog’s THREE PLAYS help our certified Canine Coaches observe, direct, and get to know your pup before they stay overnight. Throughout their play sessions, they may meet our entire team who love and care for your pup like they are their own. We also require that any dogs that stay with us have up-to-date vaccinations (Rabies, DHPP / DHLPP, Bordetella) and be free of fleas, ticks and any contagious diseases. The Influenza vaccine is highly recommended, and we urge you to consult your veterinarian in these regards. Note that titers are not accepted in lieu of vaccinations. You’re probably aware of how great a day at the spa can be, so why not give your dog the same luxurious treatment? Your pampered pup will be clean and sharp looking when you pick them up. 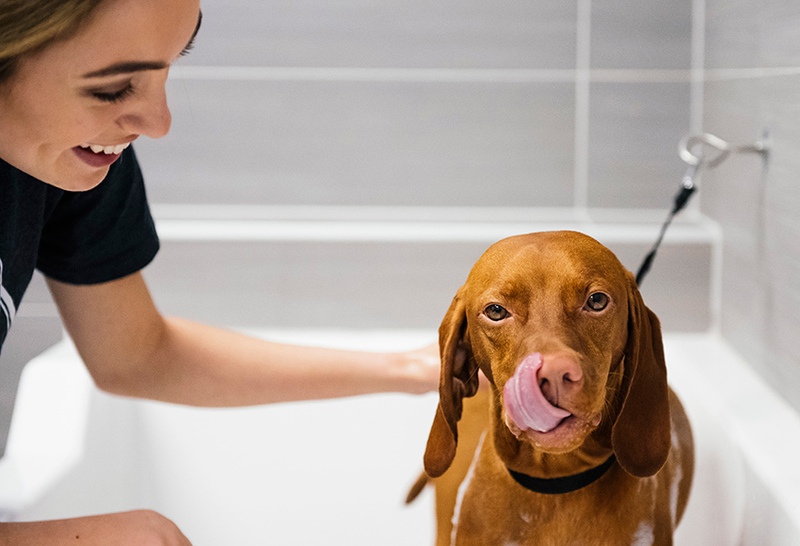 You can book spa appointments along with your dog’s boarding stay if you wish. There’s so much more to our spa services than baths. Your dog will receive a five-star treatment that includes teeth brushing, ear cleaning, and more. You may just feel jealous of the attention your dog will receive! We offer dog boarding at prices designed to fit any budget. Our friendly and knowledgeable staff will work closely with you to determine which of our boarding accommodations is best suited to both you and your dog. Space for overnight boarding is limited, which is why we recommend book in advance.